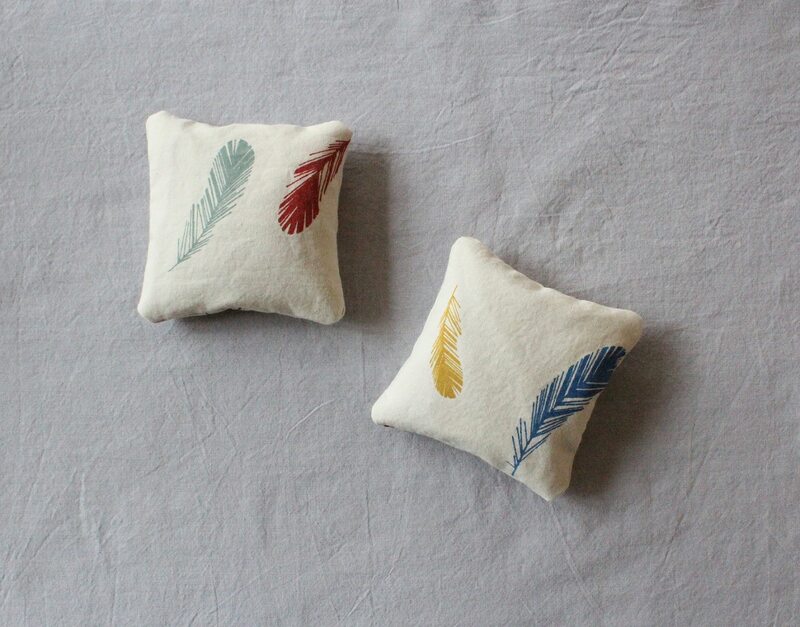 It still may be cold out, but you can take advantage of all that time indoors this winter and whip up a few of these cold weather DIYs that will make the season more bearable. 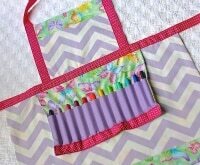 Projects for body products and home accessories will help you survive and enjoy the remaining months of winter. 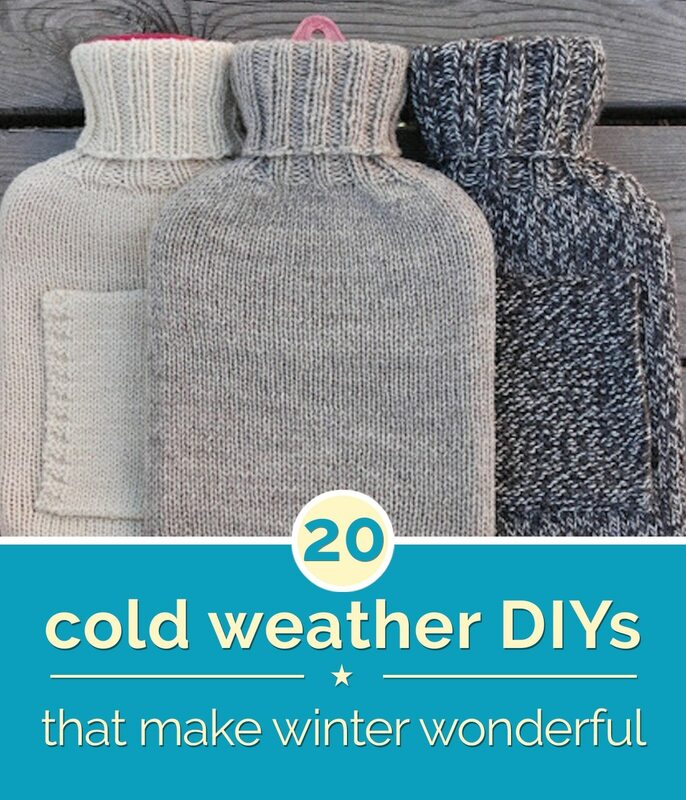 Pair them with your winter wardrobe basics, and these survival hacks to ensure the cold weather doesn’t get the best of you. 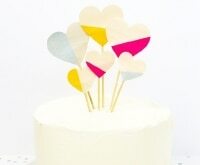 Find instructions on how to make this exclusive to The Good Stuff DIY here! Your pucker is especially vulnerable to windy and frigid air. 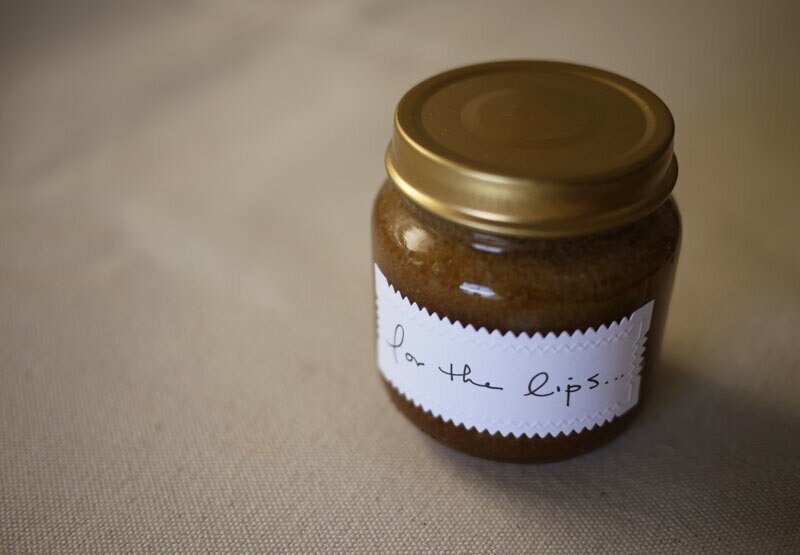 But all you need is coconut oil, honey, and brown sugar to make a tasty and exfoliating lip balm to soothe chapped lips. 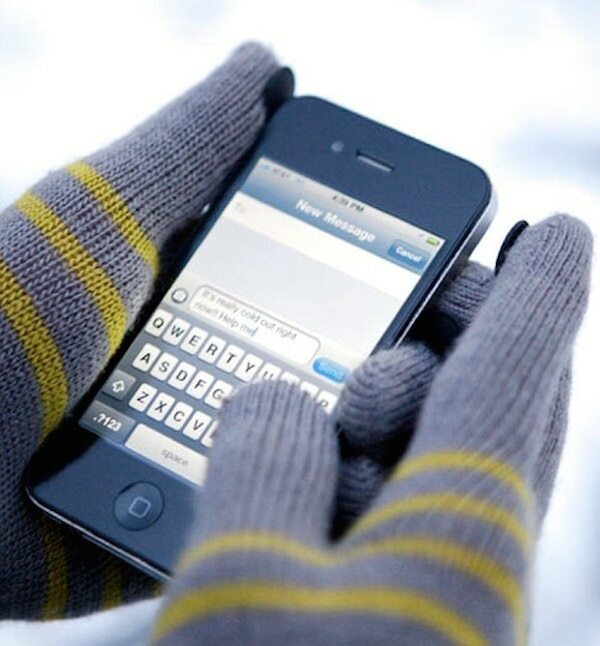 You can text, type, and call with ease, even if you’re all bundled up. To make any pair of gloves smartphone-friendly, attach Digits (mini conductive pads) to the fingertips. 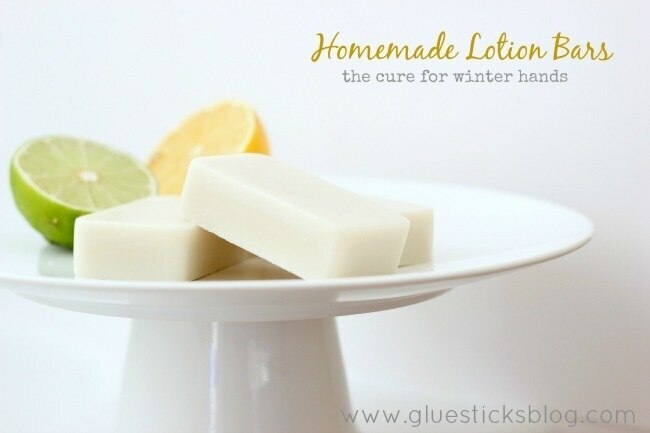 These luscious lotion bars slowly dissolve into your hands, leaving them soft despite drying winter air. To make, melt together ingredients (which include softening shea butter and optional essential oils) and pour them into molds. 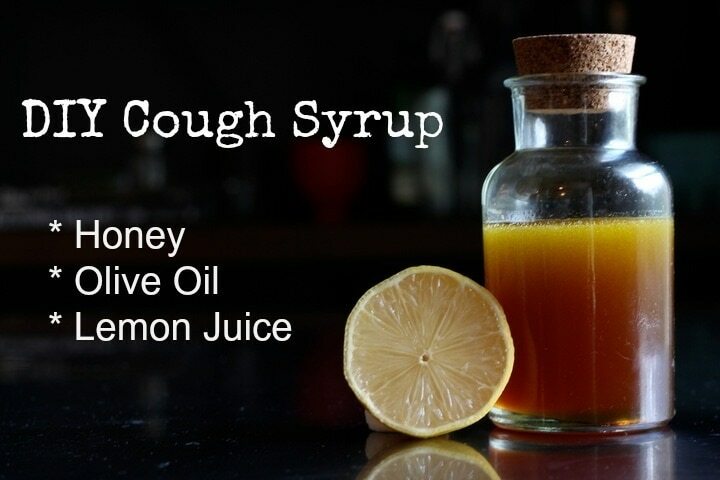 This au natural cough syrup is easily made out of three ingredients that you probably already have in your pantry. 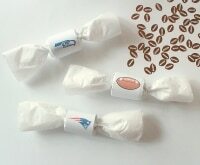 Sip it to sooth a sore throat or cough. 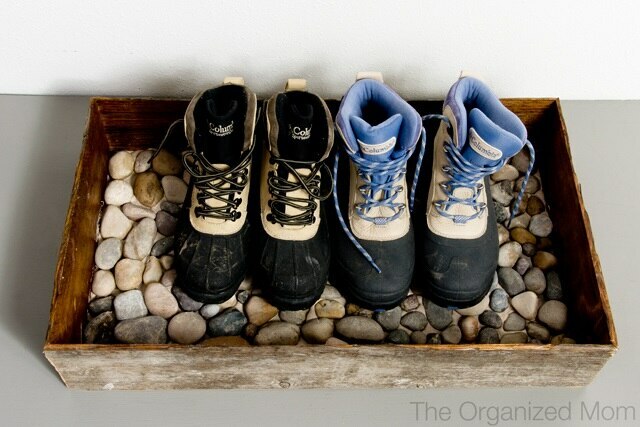 Keep your mudroom tidy despite all that snowy slush by filling a shallow box with river stones. 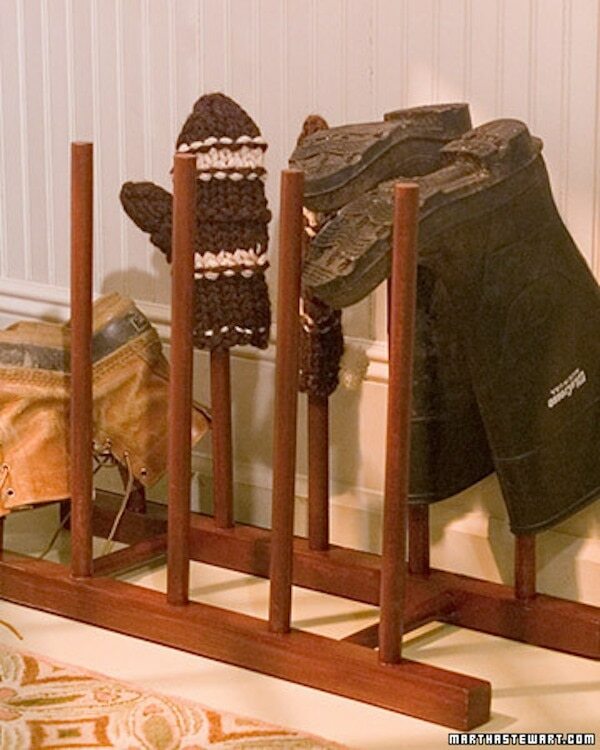 Store your boots in this moisture-absorbing tray for a dry entryway. 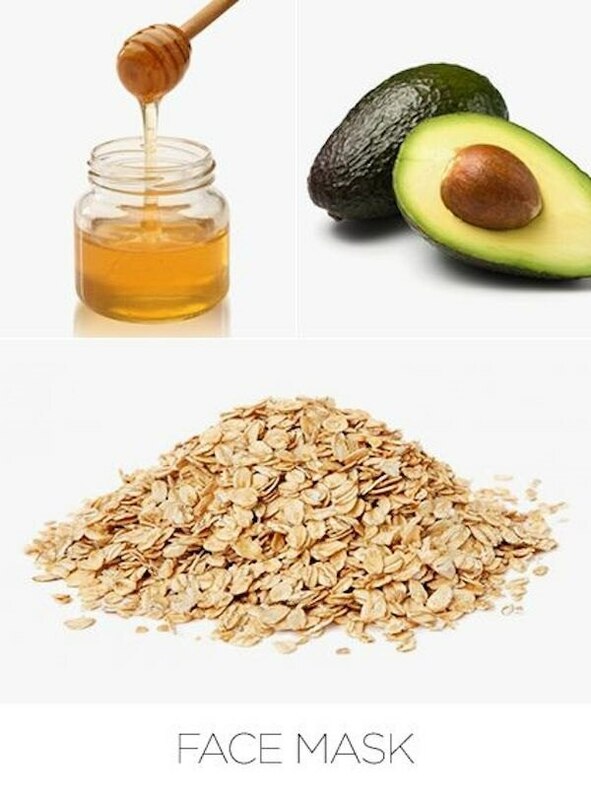 This DIY face mask is hydrating and high in antioxidants, the perfect fix for wintertime face woes. 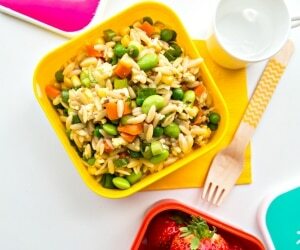 To make, mix together oats, honey, and avocado, apply for 15-20 minutes, and wash away. What’s better than chocolate and coffee? A warm drink that combines both. 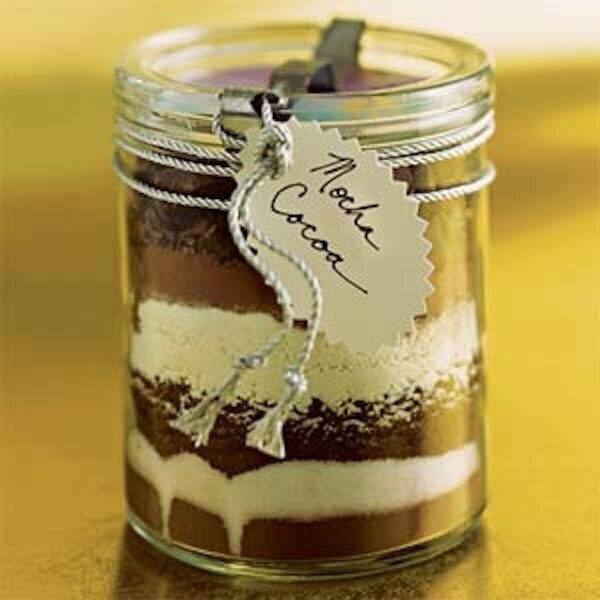 Keep this mix on hand for when it’s chilly out and you need a caffeine and/or cocoa fix. This concoction of natural ingredients (think orange juice, cayenne pepper, and grated ginger) is packed with antioxidants and immunity boosters. 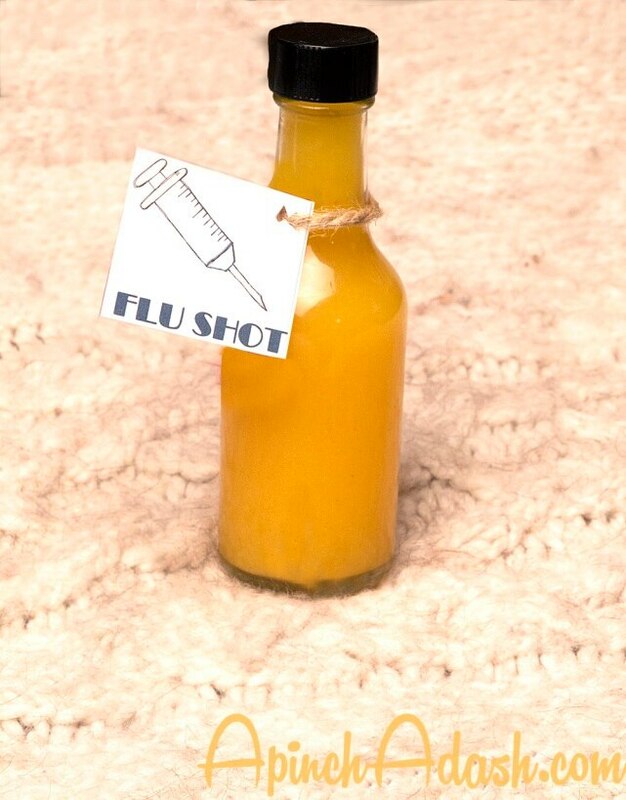 Swig it to avoid the flu this season. 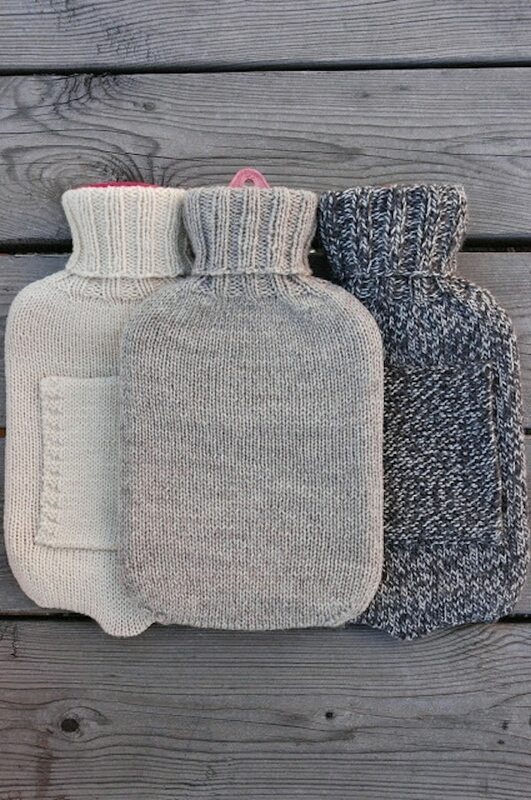 Hot water bottles are perfect for warming you up before bed. 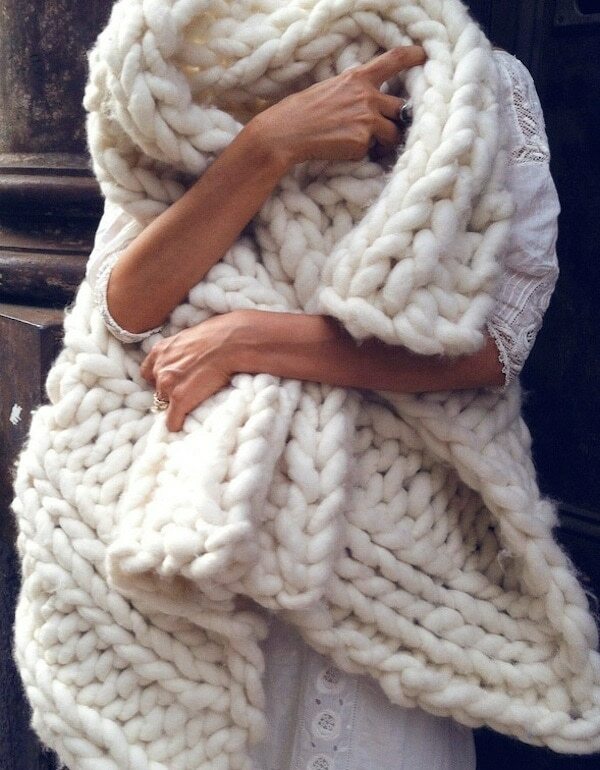 Keep them cozy (and soft against your skin) with these knit covers. 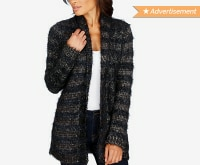 If you’re not a knitter, make one out of an old sweater instead. Nothing warms a room like a good fire. 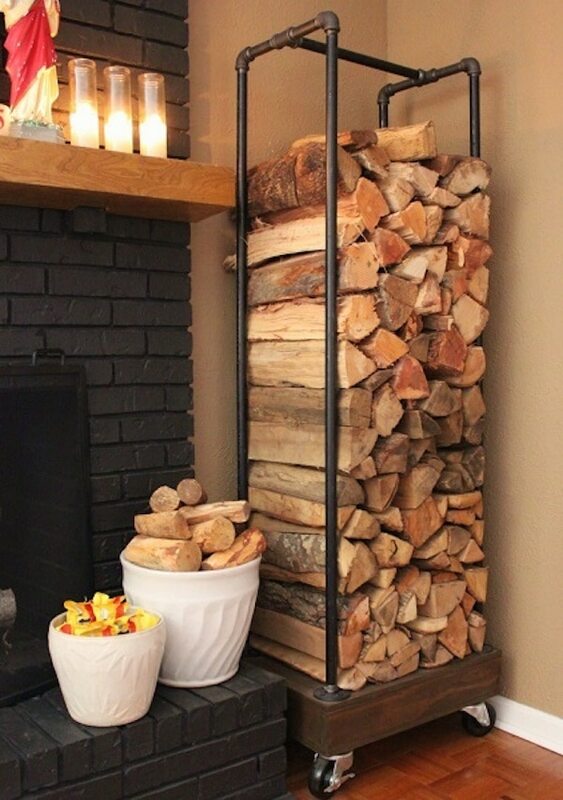 Stock up on logs and keep them organized in a sleek and modern holder, made out of PVC pipe. 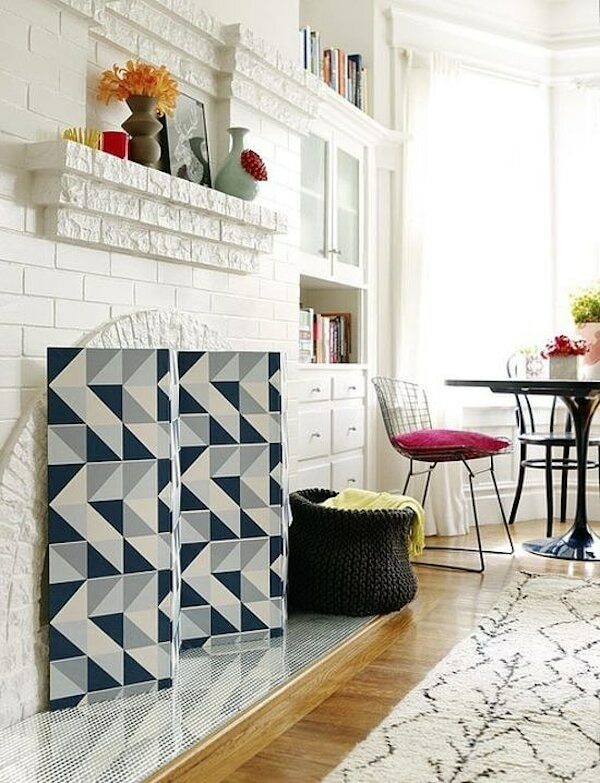 When the flame burns out you can keep ashes under wraps with a modern and chic fireplace screen. 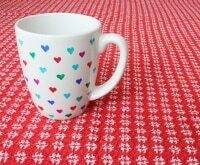 This one was made out of geometric wallpaper. Toasty toes will radiate warmth to the rest of your body. 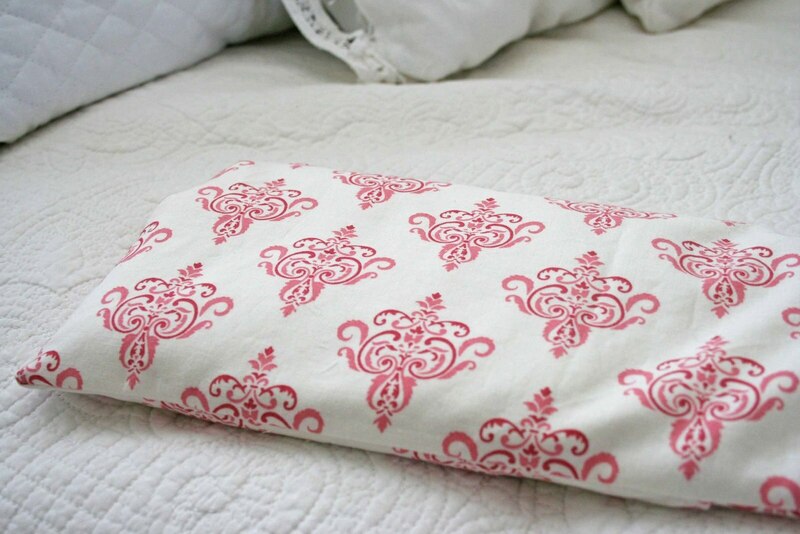 Get them with this homemade foot warmer– all you need is fabric, rice, and basic sewing skills. If you’re a more advanced sewer, you can use this tutorial to make one with a pocket for your feet to slide into. 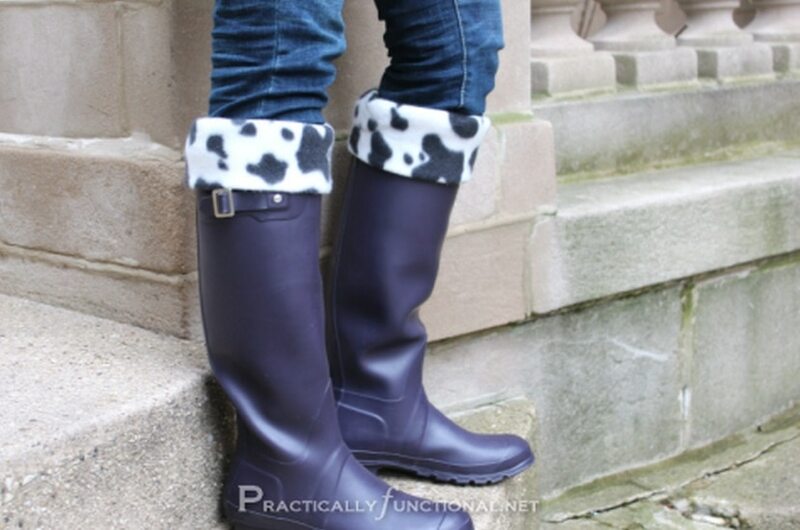 A fleece lining turns rain boots into cold weather wear. 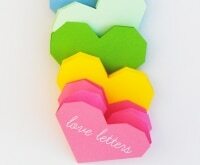 Make a few in different colors and patterns so you have a pair to match every outfit. Nothing’s better than a winter evening spent curled up h under a warm blanket. 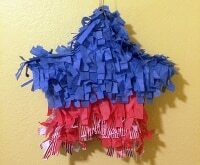 Extra thick yarn and jumbo needles make this a quick project that requires little to no knitting experience. Slogging through slush and snow makes a drying rack a winter essential. 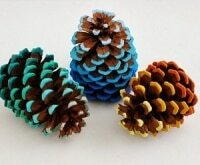 With some simple woodworking, you can make this one for mittens, gloves, and small boots. 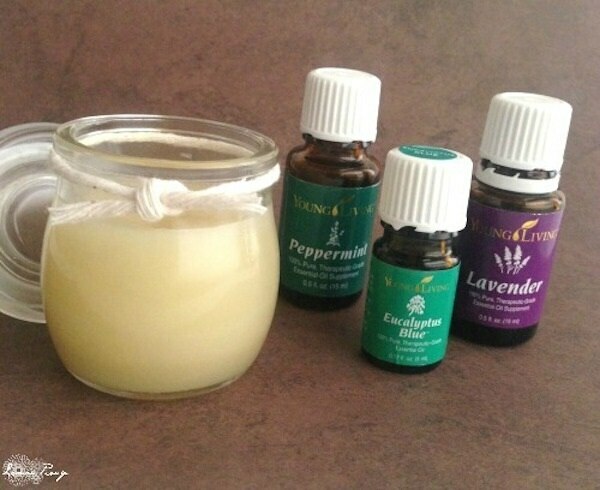 Relieve congestion with this natural home remedy. Simply mix coconut oil, shea butter, and beeswax pellets with essential oils to make your own vapor rub. Wintertime means savoring big mugs of something warm. 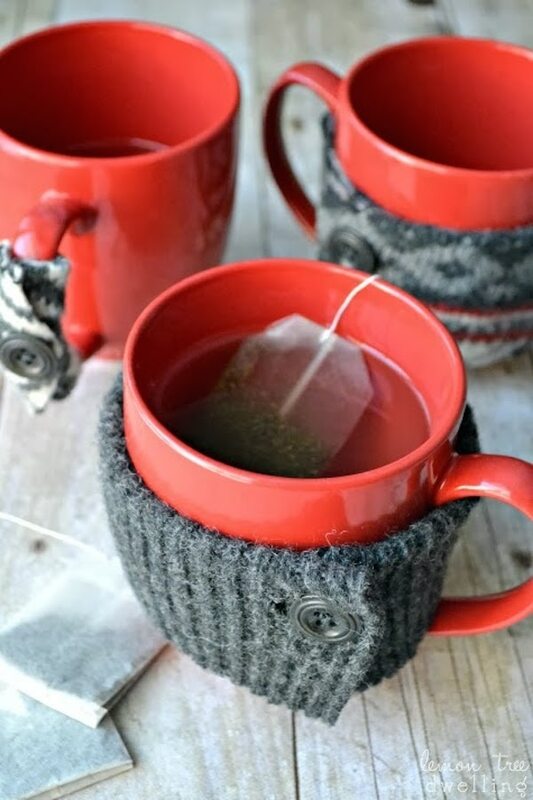 So keep those mugs cozy with upcycled sweaters in different patterns and textures. 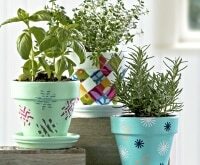 Bring a bit of greenery indoors to brighten your mood and give life to your surroundings. 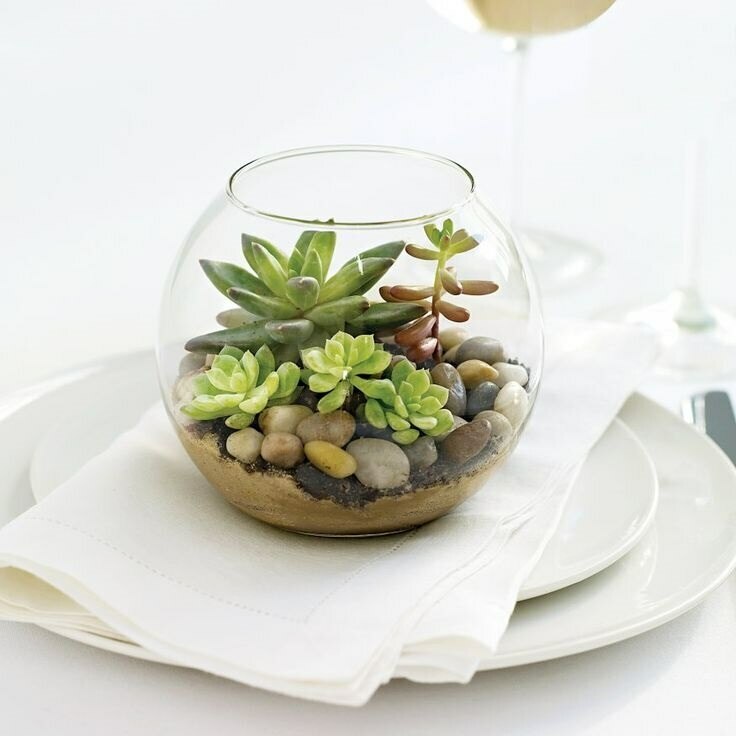 A charming little terrarium filled with succulents are small enough to fit on a desk or shelf. You need to generate your own light when it gets dark by 4 pm. 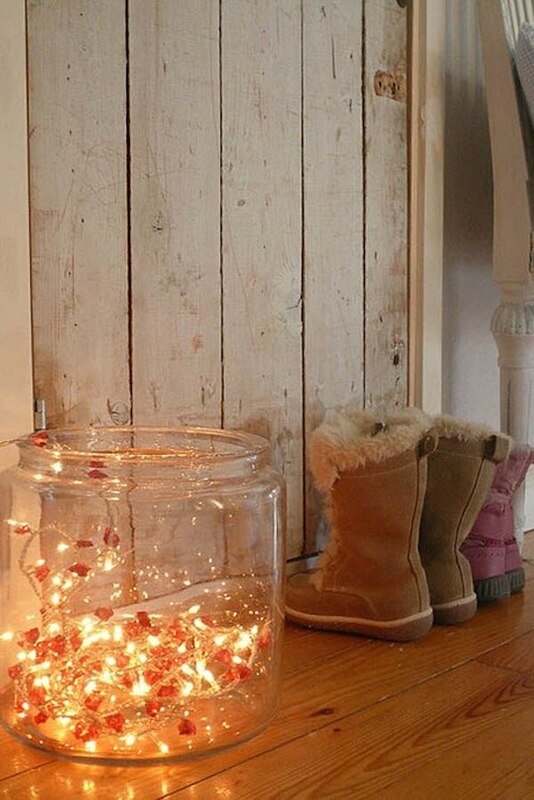 Fill a glass jar with string lights leftover from the holidays to reuse holiday lights. Don’t let winter get your down! 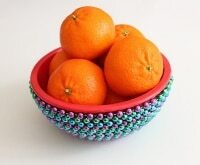 Dry, cold, and dank as it may be, a can-do attitude and these DIY endeavors can lift your spirit and combat common cold weather woes. Taking good care of your home, body, and soul will ensure you spend the rest of the winter both cozy and cheerful.